Finaly the tart season ! It’s getting warmer ! Lausanne food market is full of color and delicious fruits. Winter is now dead and we welcome the spring ! To be honest, I didn’t really see any winter this year. 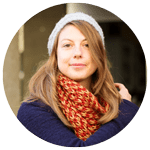 I was too busy between my job, the blog, my friends and an organisation that we build together with some great experienced women in the digital sector. 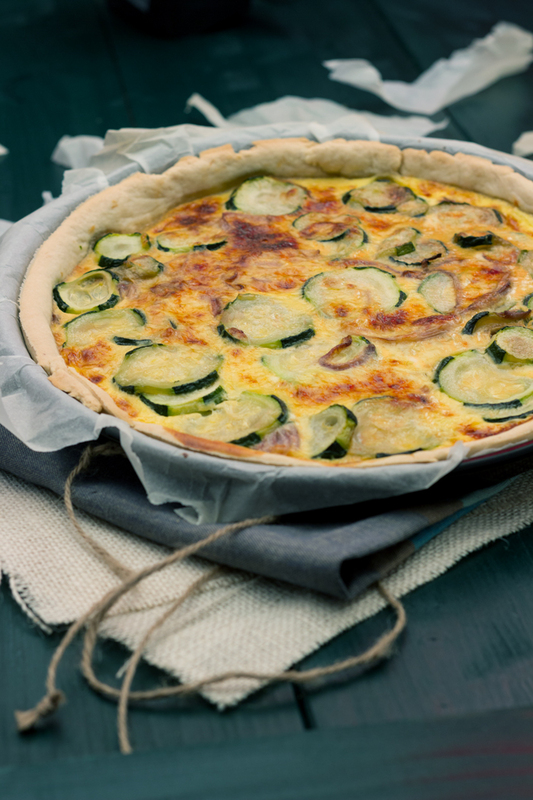 Yes, pretty busy this winter that I am ending myself with a quick and easy zucchini tart recipe. So you get the opportunity to use the crust pastry recipe with spelt flour I shared with you last week ! I wish you get inspired. 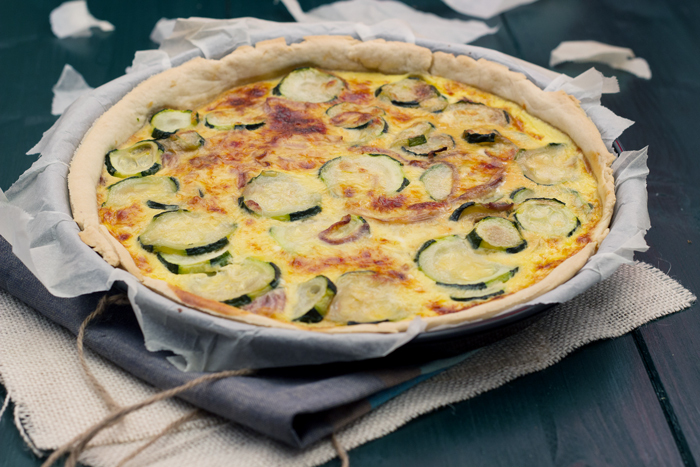 With this base, egg with cream and swiss cheese, you can add every kind of vegetables ! But I love zucchini, especially if they are fried with some olive oil first together with onions ! It gives this sweet taste. You can eat this tart with your familly, your boyfriend/husband. You can also cut this tarte into large 4 pieces so you can bring it to your work and you will get 4 healthy lunches in one shot ! Wash zucchini. Peel each one leaving some strips of skin. Slice. Peel and cut onions. Heat a dash of olive oil and fry onions and zucchini few minutes. Place crust pastry in your pie plate and riddle with holes. In a bowl, mix egg, cream. gratted cheese and add a pinch of salt and some pepper.